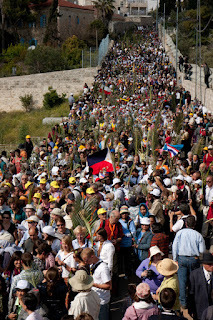 Palm Sunday, Good Friday, and Easter Sunday are most important days in the lives of all Christians. 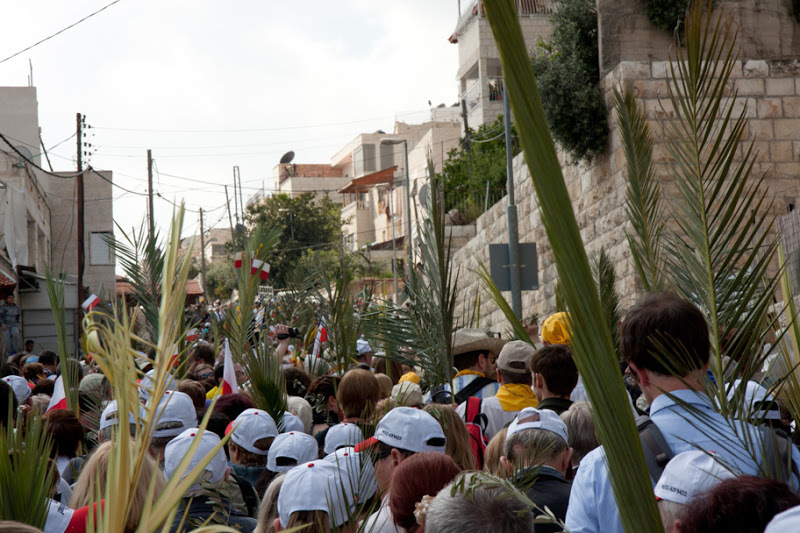 On Palm Sunday, Jesus entered Jerusalem riding a donkey as kings often did, and was greeted by hundreds of people waving palm fronds and dropping their garments on the ground to make a royal passage. By Friday he would be crucified by many of those same people. Good Friday is a somber day -- the day Jesus Christ was crucified. We were in Salzburg one year on Good Friday. It was a cold, cloudy, dreary day. Usually church bells ring out daily in Salzburg, echoing lovely chimes across the city but today, Good Friday, the bells were silent. Silent too on Saturday. Then on Easter Sunday morning, we were awakened to the sound of hundreds of church bells pealing throughout the valley, sounding on and on and on: He Is Risen!!! People greeted each other joyously, not with the usual "Guten Morgan," but with the words, "He is Risen!!" Two celebrations: one of a battle that led to freedom (see Part I) and one of a Man who died giving all men freedom as they choose to follow Him. Two of our sons, Michael and Eric, each attended a semester at the Brigham Young University's Jerusalem Center in Jerusalem. Among their amazing experiences was to be in the Holy Land at Easter Time. 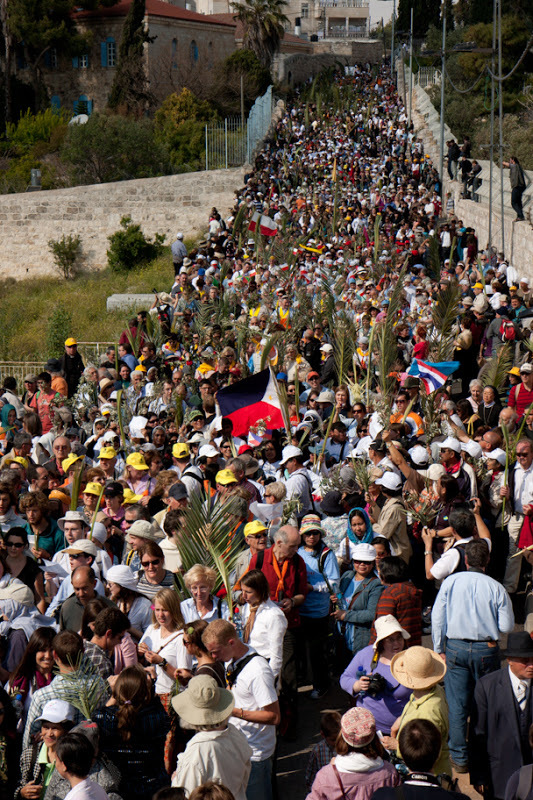 This is Eric's photo of the masses of people who come from all over the world to be in Jerusalem at Easter Time. Eric says that this re-enactment of the Triumphal Entry was a huge celebration, with people of different faiths all coming together in their love of Jesus Christ and what he did for all people over 2000 years ago. Singing. Hugging. Chanting. A unifying, holy experience. LeRon and I have been in Israel five times. We have driven the length and breadth of this Holy Land, twice on tours and the rest by ourselves and sometimes with some of our kids. We love this land. Being there has changed our lives. It has changed the way we read the Bible. It has been a holy experience. LeRon's dream was to one day be in Jerusalem with all of his children. This dream came true the year Eric did his semester in Jerusalem. We were all there. L-R: Michelle, Craig, LeRon, Michael, Eric, Colleen (me), Heather. Michelle's husband Andy was also there and took the picture. 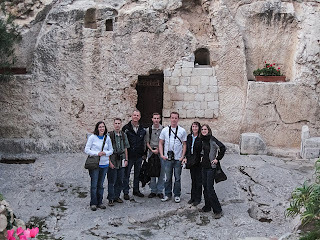 Here we are in a very holy place, the Garden Tomb. This is the place that many religions, as well as our own (The Church of Jesus Christ of Latter-day Saints) feel could be the actual tomb of Jesus Christ. No one knows for sure and many, including our friends, the Catholics, feel that it is in the Church of the Holy Sepulchre. But whether it was here or there, we do know that Jesus Christ did suffer, bleed and die for us and that he rose the third day, never to die again. He is Risen!! And because he is risen, everyone will rise again after death. Our bodies will be re-united with our spirits, never to be separated again. He did this for you and he did this for me. I know that all will be resurrected and that as we choose to follow Him, we will be happy forever with Him and with our Heavenly Father and with our families. And, thanks for instilling the appreciation of the Holy Land into us too, Mom and Dad. Great reminders at Easter time.